Such a simple little clear pot, but such a graceful thing... It’s made by Goldplast; they really know a thing or two about making superbly stylish, practical, durable tableware in plastic. 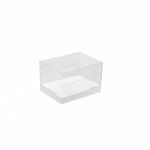 And this is one of those times when you really need to feel the smoothness and precision of the manufacture – these are objects that are fit to grace any table. 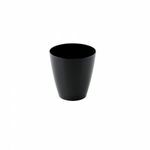 With a 61cc capacity, this is ideally suited to petite servings of finger food, or for the buffet table, where guests can be encouraged to load their cups with all manner of tasty treats. 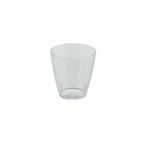 Transparent Plastic Punto Liqueur Glass (Pack of 25) has not been evaluated yet.